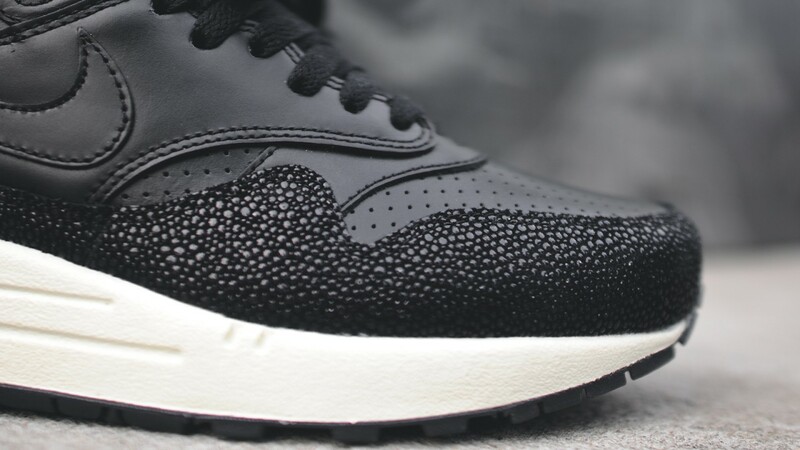 The Air Max 1 is redesigned using premium materials for its latest execution. 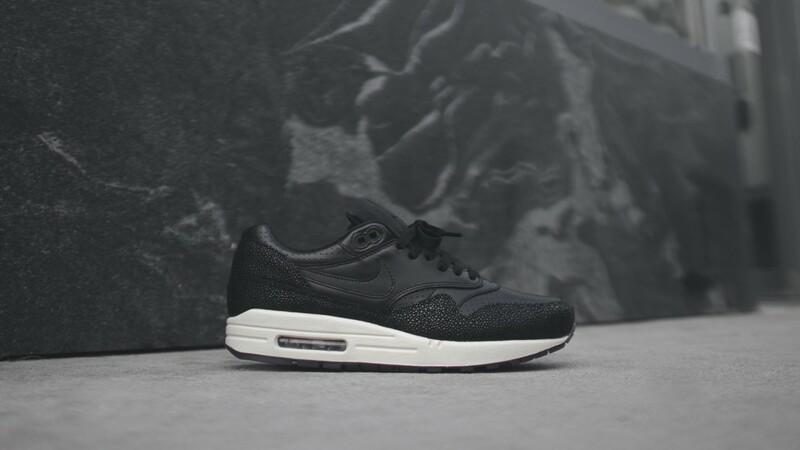 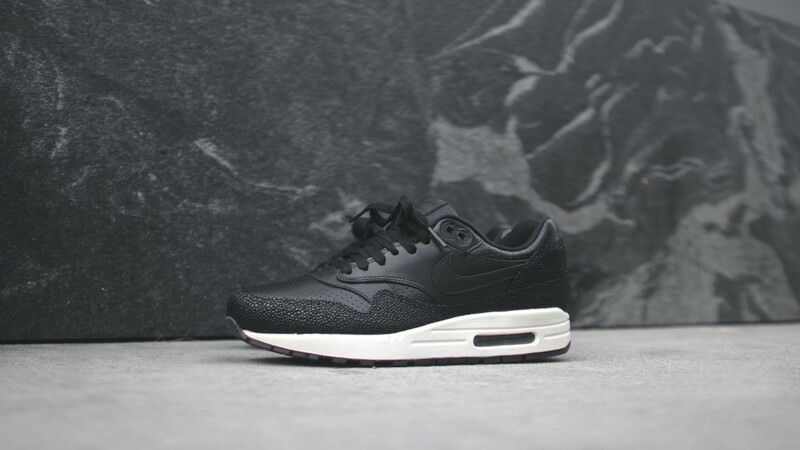 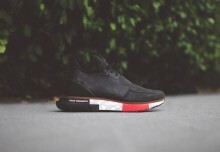 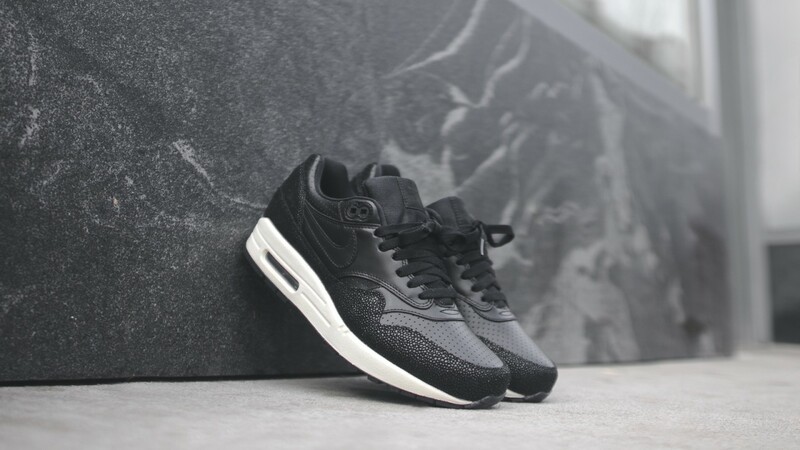 An all black leather upper is countered by a tonal stingray-embossed leather mudguard for an exotic finish. 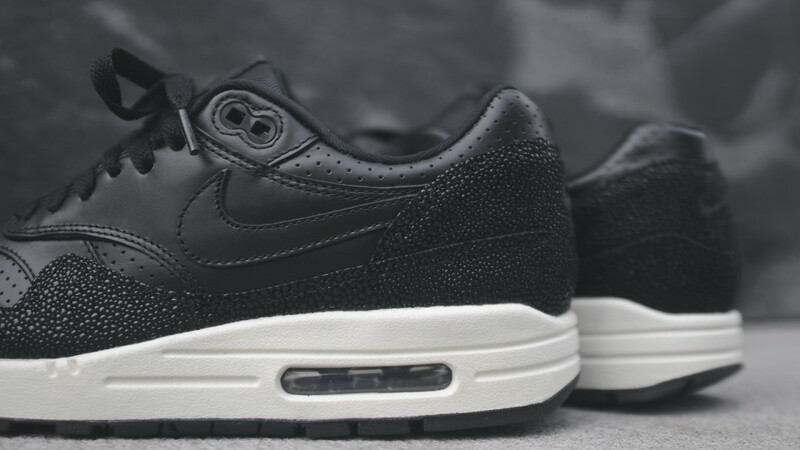 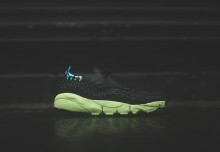 Perforations are seen on the toebox, while the famous midsole unit is off-white for nice contrast. 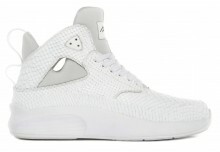 Tonal laces are the final touch on this model.